Lebanese Prime Minister Saad Hariri officially asked to form a new Cabinet following this month's election. Lebanon’s President Michel Aoun on Thursday formally asked Prime Minister Saad Hariri to form a new Cabinet after the vast majority of legislators named him as their choice for the position of prime minister, The Associated Press reported. 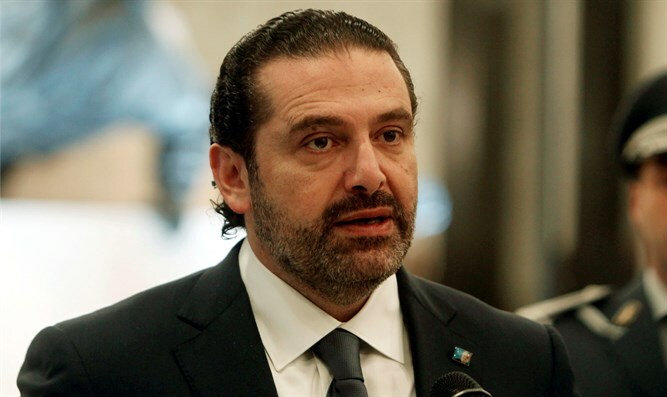 The faction led by Hariri lost over a third of its seats in the elections earlier this month, but was still widely expected to form the new Cabinet. After a day of consultations between Aoun and 128 legislators, 111 named Hariri as their choice to form a new Cabinet while the rest, including Hezbollah’s bloc and some of its allies, did not give a name, according to AP. “I extend my hand to all political elements. We should work together to achieve what the Lebanese people are looking for,” Hariri told reporters shortly after Aoun formally asked him to form the Cabinet. “I am open to all elements and never closed the door in front of anyone,” he added. Hezbollah, which won over half the seats in the 128-member legislature in the election, did not name its own candidate for the premiership as it has done in the past, signalling it will likely go along with Hariri’s re-appointment despite tense relations between the sides. Hezbollah, which is a major political force in Lebanon, was a member of Hariri’s previous cabinet, despite being blacklisted as terrorist group in the United States. A UN-backed tribunal has indicted five Hezbollah members in the 2005 assassination of Hariri’s father and former premier Rafik Hariri. Hezbollah denies the charges. Hariri will most likely work on forming a national unity Cabinet, similar to the one he’s been heading since 2016, according to AP.